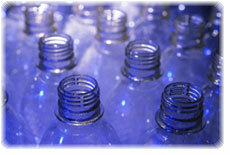 Ordering wholesale glass or plastic bottles in bulk can translate into huge savings if the volume is large enough. Volume discounts are routinely offered by most bottle supply companies. They will even offer additional discounts to preferred customers. Evaluating possible wholesale bottle companies can be challenging since visiting a physical location is likely going to be impractical. A different approach is often necessary to determine the quality of a prospective supplier. First, look for a professional website, a physical address, and a phone number. Follow that up with a whois search and cross-check it with the information provided on the website. Also, ask around. Third party suggestions and word of mouth can have a huge impact on your decision. Here are a few questions to ask potential suppliers. How long has the bottle company been in business? Are they the manufacturer of the bottles? Do they carry their inventory in house? How fast is their delivery? Do they offer sample bottles? Check with BBB, Bizrate, etc? Look for reviews on 3rd party sites? Word of mouth suggestions from others in the same field? In most cases a good bottle company will allow easy access to product information, competitive volume pricing, and a well defined shipping & return policy. It is often worthwhile to order something small and relatively inexpensive as a test or ask for product samples. In general, the experience of searching for an online wholesale bottle company should be positive as the most prominent companies are very professional and have competitive pricing. Quality, however, may be your biggest hurdle and it may take purchasing from several suppliers before the optimal level of service and quality is achieved.